Midland Mowers has fully qualified and experienced small engine technicians that can get your garden machinery up and running again in no time if they are missing a beat, refuse to start, or just plain tired and need a good service and clean. 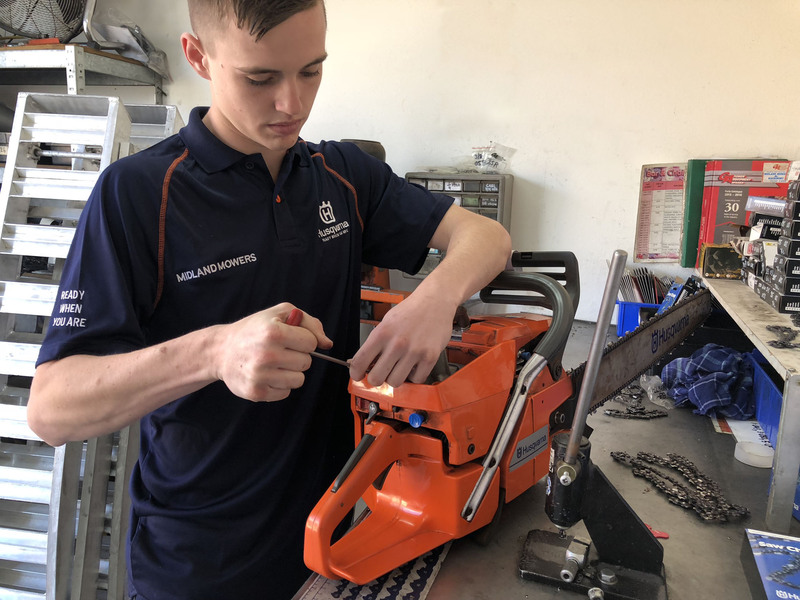 From new mower blades, chainsaw repairs, blade sharpening or a complete service, contact us today! Midland Mowers employs only highly skilled and trained technicians who have extensive experience with all the brands that we sell. All repair work is covered by our three (3) month full warranty. Our newly renovated Midvale showroom (at the foothills of Perth, right on Great Eastern Highway) has a modern and clean workshop which is fully equipped to service and repair all well known brands. We also stock a large range of spare parts, including being the only COX Spare Parts seller in Australia. We at Midland Mowers ensure that all services and repair work that is carried out is effective, reliable and quick, but without compromising the quality of our workmanship. We service all other major brands as well our own!